The Third Squad reports the arrest of a Brooklyn man for Robbery that occurred on Friday, September 20, 2013 at 3:17 am in Westbury. Westbury, NY - September 20th, 2013 - According to detectives, A Third Precinct Police Officer responded to a call of a man walking and acting suspiciously in front of TGI Friday’s located at 829 Merrick Avenue. When the Officer approached the defendant Mike J. Volce, 24, of 938 East 96th Street, Apt A, Brooklyn Volce punched the officer with a closed fist and then fled on foot across the street into Eisenhower Park. Third Precinct Police Officers located Volce a short time later and placed him into custody. Subsequent Investigation revealed that Volce earlier made a failed attempt to Gain entry into a vehicle that was occupied by a 22 year old female victim and her 27 year old male passenger who sat in the parking lot of TGI Friday’s in her 2010 Honda. Volce who became angry then pulled the victim’s hair and attempted to grab her cell phone and keys. The victim was able to sound her alarm and drove off. The Third Precinct Police Officer was treated and released at a nearby hospital for significant bruising. Mike J. Volce is being charged with Robbery 2nd Degree, Robbery 3rd Degree and Assault 2nd Degree. He will be arraigned in First District Court in Hempstead on Saturday, September 21, 2013. 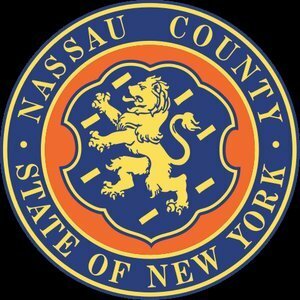 Subject: LongIsland.com - Your Name sent you Article details of "Nassau County Police: Suspicious Man Arrested in Westbury"